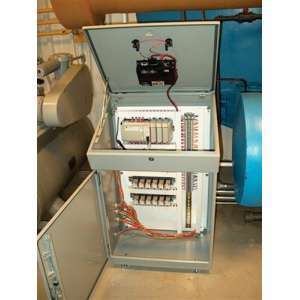 Peerless-Midwest offers a full line of electrical control systems to fit control needs of any size or complexity. 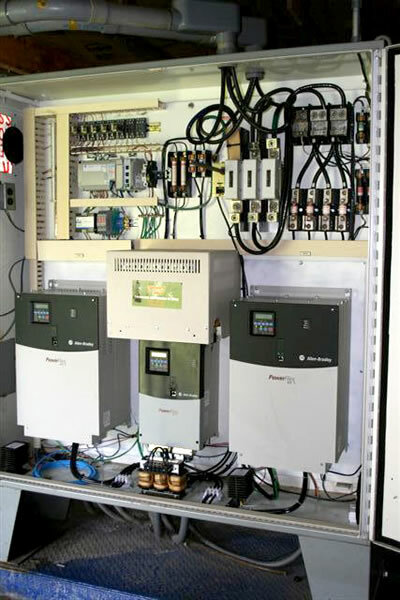 From simple one or two pump controllers to complex state-of-the-art SCADA* systems, we design, install and maintain control systems to meet our client's specific needs. Combined with customized software, our control systems are robust while maintaining the flexibility our clients demand, including remote control, security password protection and optional motion alarms. 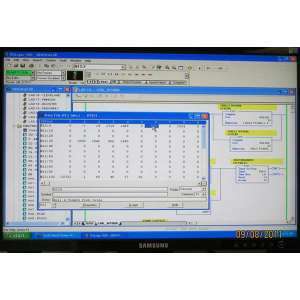 SCADA is an acronym for Supervisory Control and Data Acquisition. 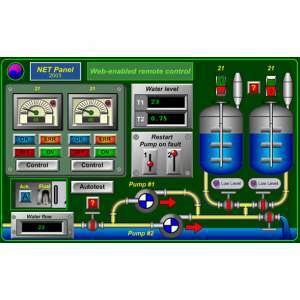 It is a software application program used for process control and to gather real time data from remote locations or exercising this control on equipment and conditions. 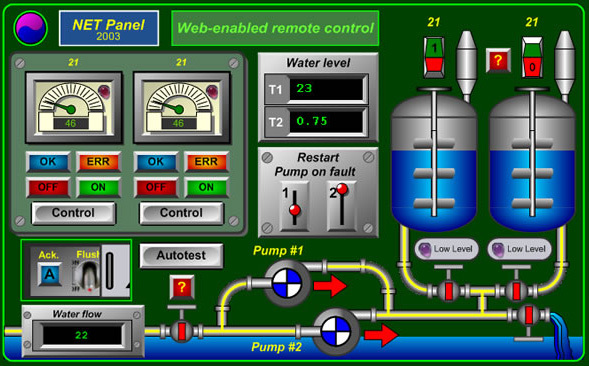 SCADA Systems of Every Scale. We offer the latest in modern technology, including remote access, software alarm annunciation, historical data collection and networked or local HMI. We can offer you control over copper, radio, cellular, fiber and leased line. 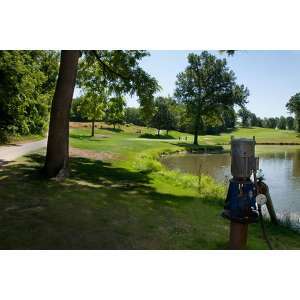 We are experts in controlling pumps with variable speed technology. We offer options like constant pressure control and Ethernet connectivity. 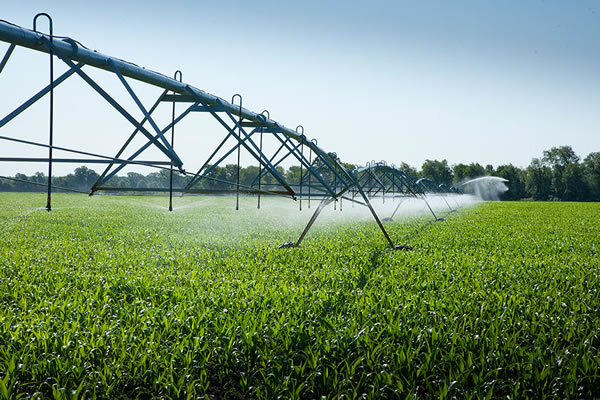 Whether it’s controlling speed to reduce water hammer or for energy savings, we can design and build a system to meet your needs. 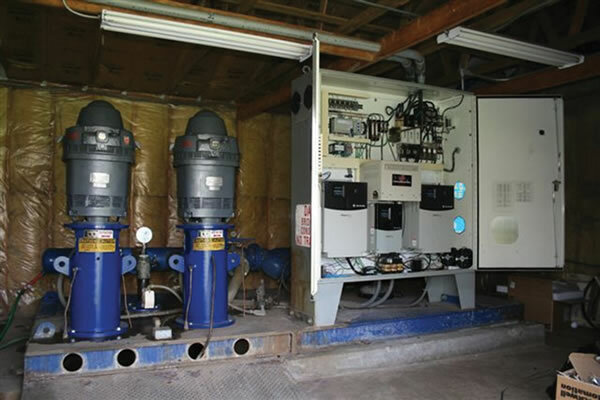 Our filtration plant control systems include automated filter backwash, discrete/variable valve position control, and monitoring/level control of towers, clear wells, detention tanks and chemical storage tanks. Whenever you need us, we provide highly qualified and experienced technicians. 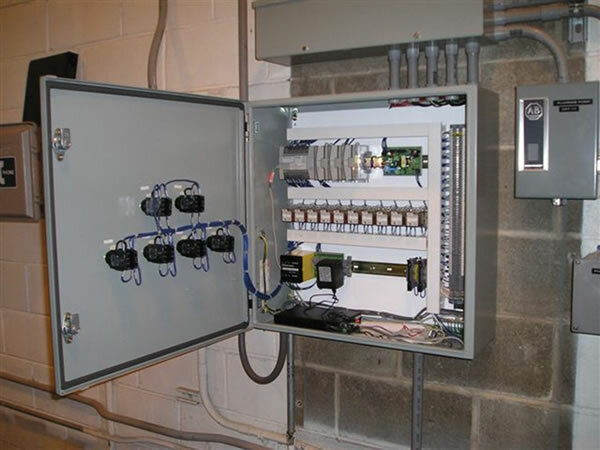 Renovation of an existing system is often the most cost-effective solution to your control requirements. 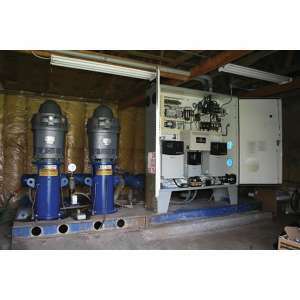 Choose a control supplier with expertise and experience in pumps and water treatment systems. 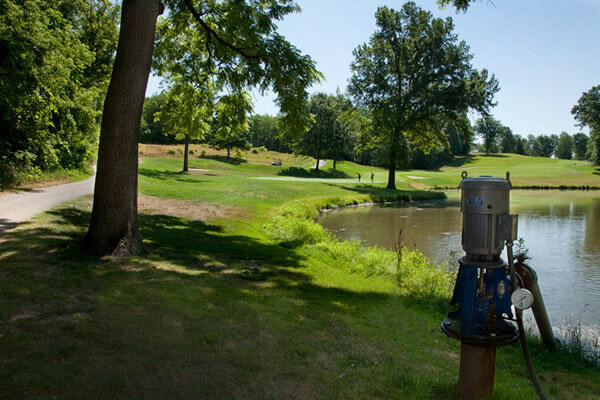 Benefit from non-proprietary equipment that is readily available from a variety of sources. 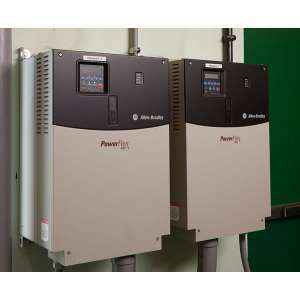 Select a system that will be reliable under extreme conditions and dependable in alerting you to any impending trouble. Secure, remote access to your control system via PC, tablet or smartphone. Alarm annunciation with either hardware type alarm dialers or software solutions that can provide text messaging, e-mail or voice calls to multiple persons. Systems can be designed for scalability allowing for future growth. 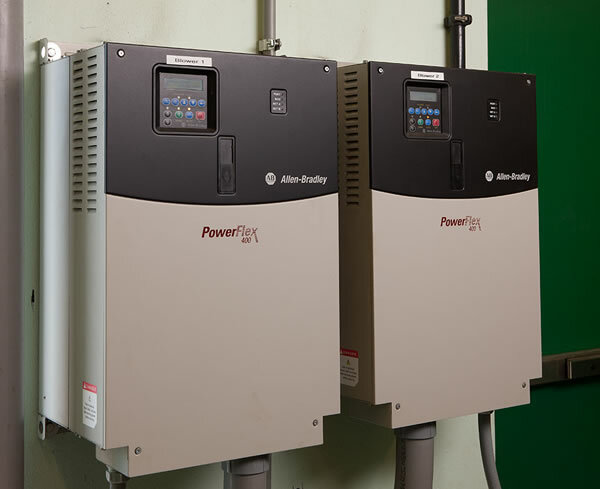 We have experience with VFDs, programmable controllers and operator interface solutions from a variety of manufacturers: ALLEN BRADLEY, SQ. D, AC TECH, AUTOMATION DIRECT, EZ AUTOMATION, MAPLE SYSTEMS, RED LION, SIEMENS, OMRON, MITSUBISHI, YASKAWA, ABB and others. 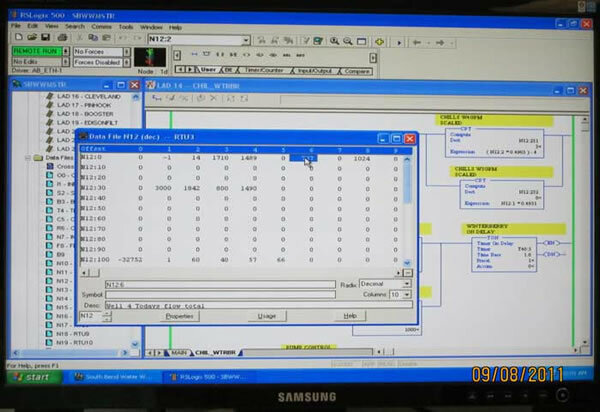 SCADA options for reporting include automatic populating of reports for government reporting requirements in addition to historical trending of data values for extended period of time. 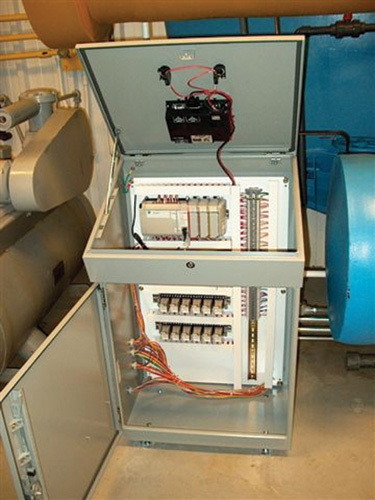 The Electrical and Controls Division of Peerless-Midwest is dedicated to providing quality control systems and electrical service for all aspects of the industries we serve. 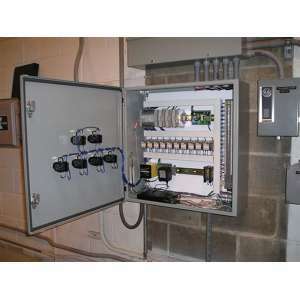 The professional, experienced staff has the ability to design, install and service any type of system to fit your needs. 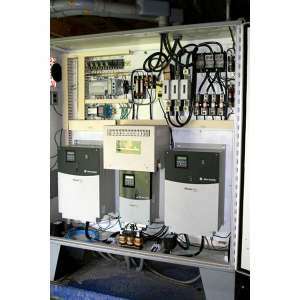 SCADA systems, basic treatment and pump controls, as well as remote monitoring and control, are all part of the systems we have in service.